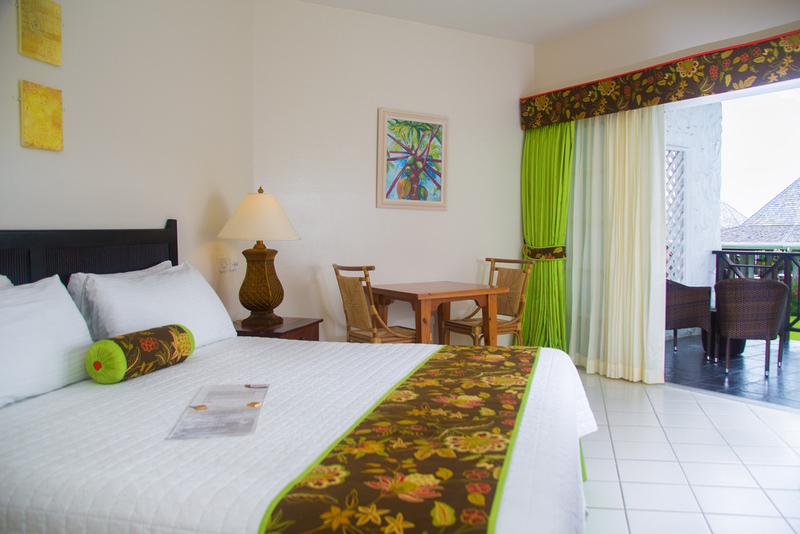 Experience the warmth and hospitality that Coyaba offers in our alluring surroundings and simple homely rooms. Relax your mind and body, as you make your home away from home. 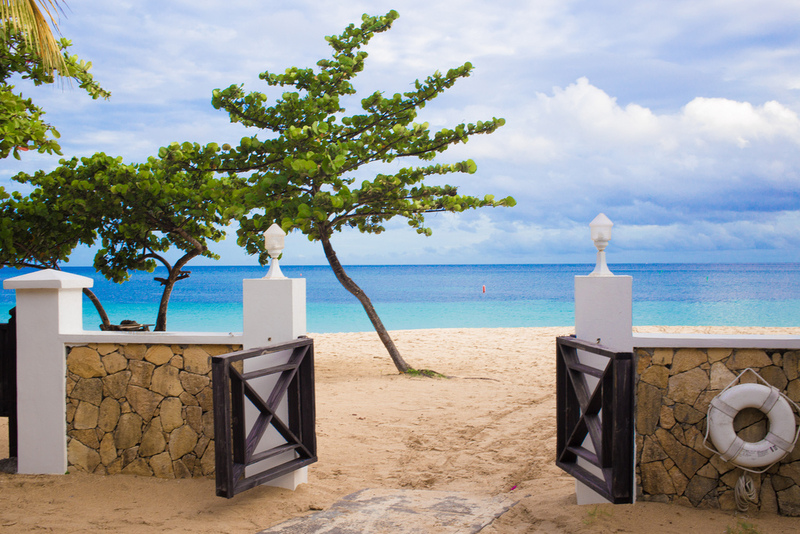 The world famous 2.5 mile Grand Anse Beach is only a few steps away from your room. 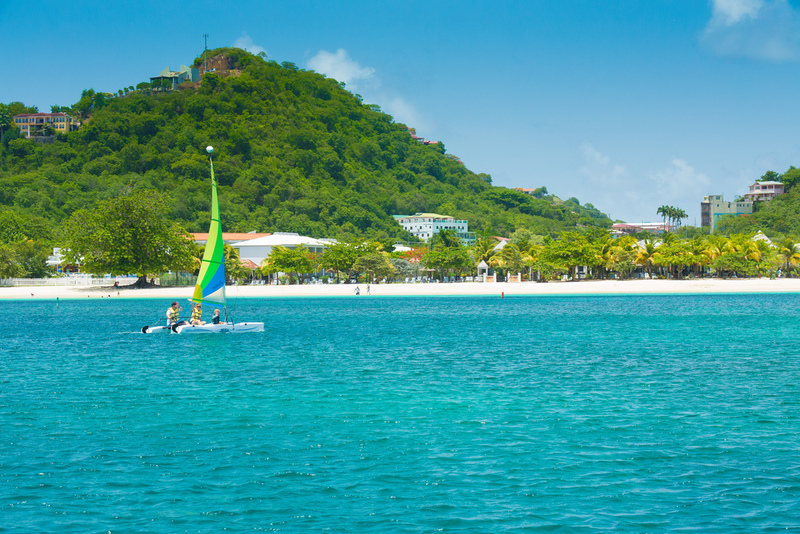 Feel the fresh tropical breeze and the warmth of the sun…do absolutely nothing while you enjoy your stay. Enjoy Coyaba’s ambiance of intimacy. All our rooms overlook the picturesque Garden. Some rooms also offer mesmerizing pool and ocean views. The tropical fashioned accommodations at Coyaba Beach Resort offers one king-size bed or two double-size beds, calming earth-tones, striking artwork and sitting area. 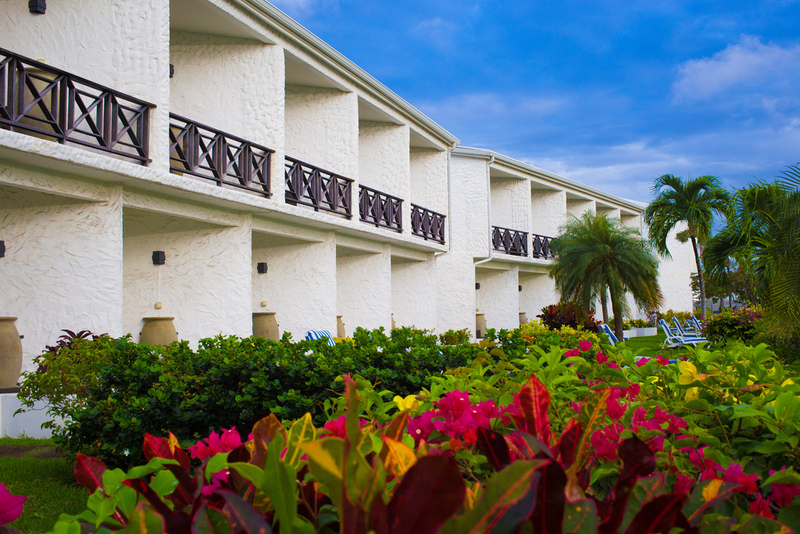 The 80 guest rooms are in 8 blocks of two floors each in our expansive Garden Resort, housed in pavilion-style buildings scattered throughout 5.5 acres of lush grounds. 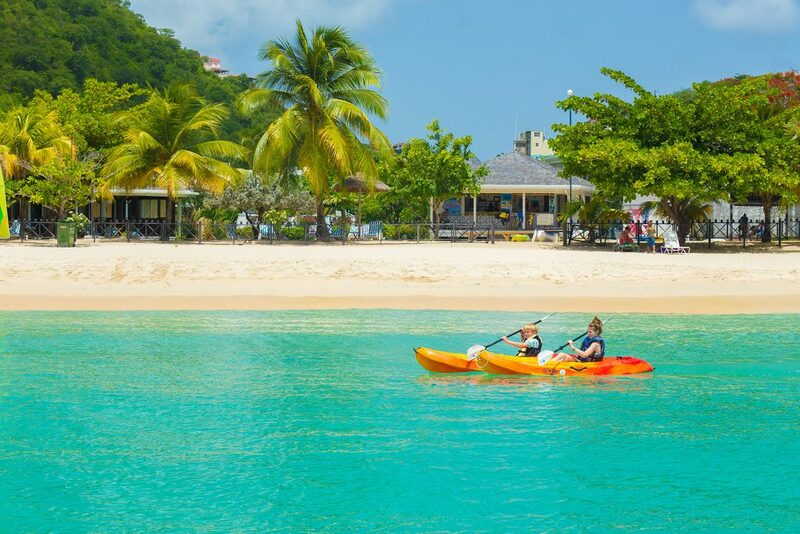 The Carbet Restaurant features very casual, poolside open-air dining with an à la carte menu and opens for lunch from 12:30 pm – 3:00 pm and dinner from 7:00 pm – 10:00 pm. Grill favourites include Burgers, Catch of the Day, Soups, Specialty Salads, Sandwiches and more selections made from the freshest ingredients. 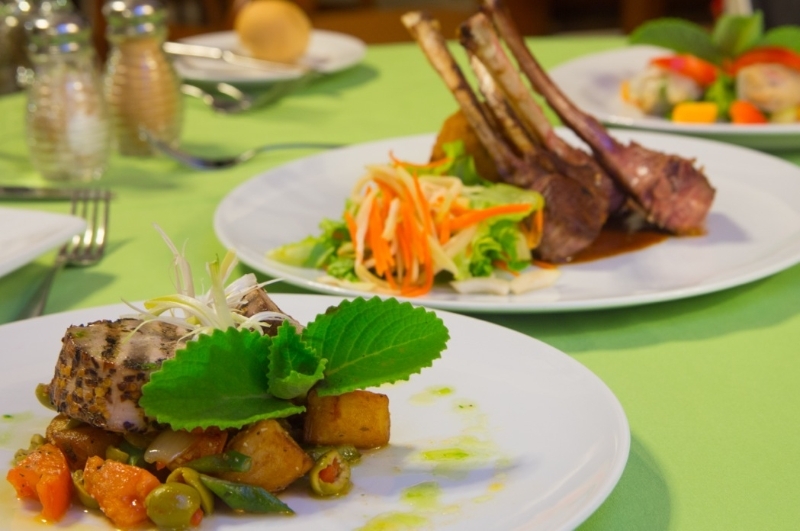 Private Dinners are available at the Resort’s new Kabanas in the gardens. Beachside dining is also available at an extra charge. This is Coyaba’s main Bar and Lounge, where guests can enjoy pre and post dinner cocktails. The Cacique Bar is open from 12:30 pm – 2:30 pm and from 6:00 pm to Midnight. This small bar near the ocean serves a limited selection of drinks, and is provided for your convenience just steps away from the beach. The Beach Bar is open from 10:00 am to 12:30 pm and 2:30 pm – 5:00 pm. The Swim-up Pool Bar located next to the Carbet Restaurant is open from 8:00 am to 11:00 pm.